Two of the Navy's newest ships were damaged when they collided against each other during a training exercise. No one was hurt, but the FF Almirante Condell and SS Carrera sustained structural damage. The sub's turret and the frigate's stern were damaged. Both boats sailed to the Asmar repair yard under their own power, reports said. The Navy is investigating the collision, which occurred early July 18 about 30 nautical miles off the port of Valparaiso. The accident leaves two important assets out of service and a black eye for its commanders. A congressional panel says it will investigate. The Condell, a Type 23 frigate, was acquired from the British Royal Navy, where it was named HMS Marlborough, and handed over to Chile in 2008. The Carrera is a Scorpene class submarine delivered in 2005. Update: Defense Minister Jorge Burgos said Aug. 13 the submarine and the frigate will be repaired and back in service by the end of the year. Both sustained "considerable" damage, Burgos added. 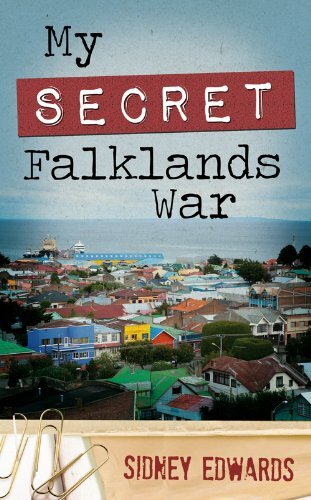 The secret assistance Chile gave the British in the Falklands War is no longer a secret. Years ago, retired Chilean Air Force Gen. Fernando Matthei revealed details on how Chile provided intelligence that helped the British win the 1982 war. Now, the main British figure in that alliance has written a book describing the secret program in greater detail. Sidney Edwards, an RAF officer, was the man sent to link up with Chilean military and set up the intelligence network. In 1978, Chile and Argentina were on the brink of war over three disputed islands at the tip of South America. So, London found a willing ally in Chile. Edwards says without Chile's help, Britain may have lost the war. From radar stations in Punta Arenas, Edwards could monitor Argentine air traffic and relay those movements to London. This allowed the British to preserve valuable air-defense resources. The radar monitoring, Edwards says, was "crucial" in winning the war. After the war, Chile was thanked with British jets and other military equipment. Ironically, the Chilean leader who approved the Edwards operation, Gen. Augusto Pinochet, was arrested and held in England for a year and a half on human rights charges brought by a Spanish judge. A Boeing 737-500 jet that has been the presidential aircraft since 1997 suffers from a short operating range, and that alone may be enough to get Chile to look for a VIP plane with longer range. The daily El Mercurio reported that a group of executives and government officials came back from a trip to Washington, D.C., exhausted from a flight that took 14 hours and two refueling stops. The 737 has adequate range for flights within South America, but no farther. The Air Force (FACh) has a Boeing 767 that can make the Santiago-U.S. trip nonstop, but it is not for exclusive presidential use and it may end up being sold. Another 737 has been converted for cargo. The fact that politicians want a new long-range transport makes it all the more possible that one will be purchased; they have most of the purse-strings to make it happen. But will it play in Peoria, or Peñalolén, shall we say? Spending upwards of $100 million on a VIP jet may not sit well with a citizenry that can point to health care, crime and education as bigger needs.